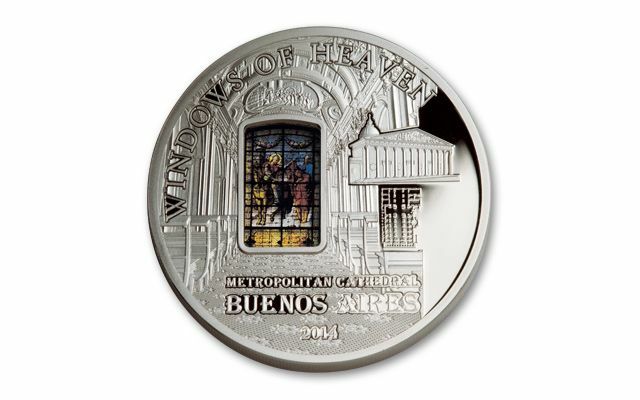 This 2014 Silver Buenos Aires Proof Like is part of the wildly popular Windows of Heaven series, featuring the world’s most celebrated churches with a stained glass window replica from each embedded into the surface of the coin. 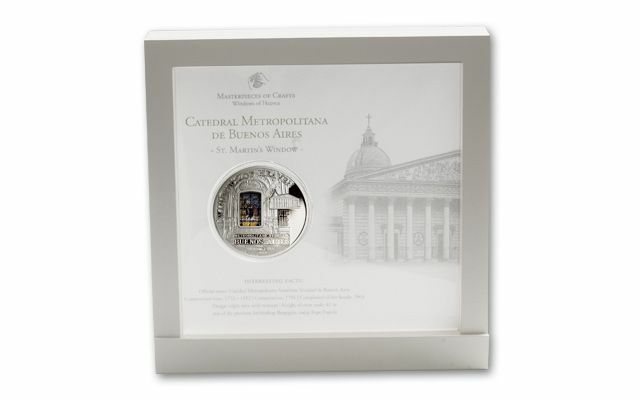 The Metropolitan Cathedral is the seat of the Bishop of Buenos Aires. It features a neoclassical facade that was added to the 16th century structure over 100 years ago. 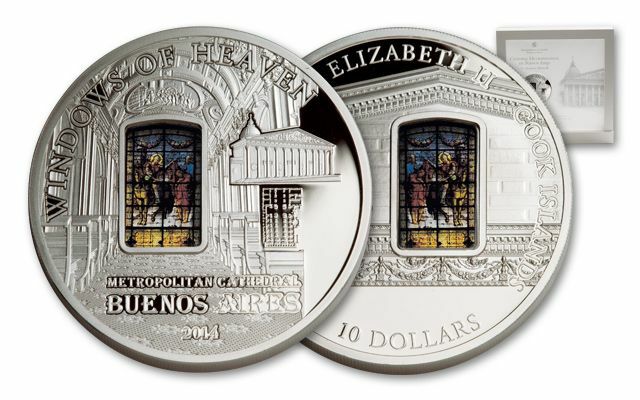 Each coin is struck to a proof-like finish and contains a massive 50 grams of sterling silver, along with the stained glass window inserted in the coin. 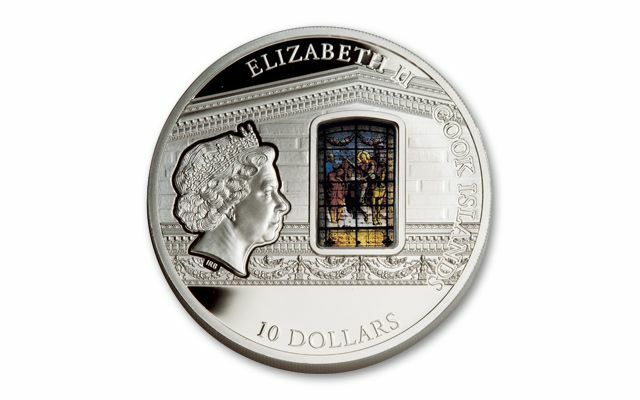 Only 2,000 were minted. These always sell out quickly, so don’t miss out.